Finally, here it is. And finally DD is off for her first day of College so I can get on with my WOYWW visits. I felt like I had to give her my attention for the last few days, but better late than never, right? 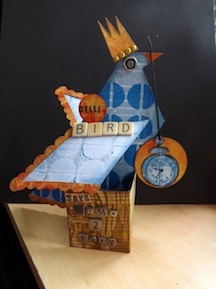 I made a scrappy version of this a few years back, but was keen to update it in a Gelli-way. You can find the template here. I am able to edit PDFs then convert them to SVG cutting files with Intaglio. That is what I did – but I am not sure of the legality of sharing the altered file, so I can’t. What YOU can do is print the PDF from Canon then use the printed sheets as templates to hand-cut the elements. 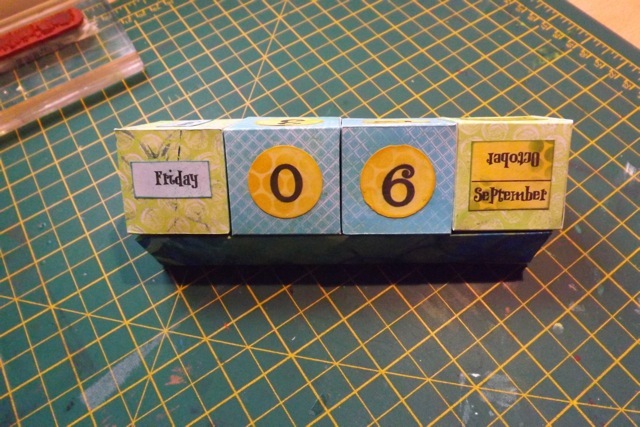 Use the layout of the numbers and days/months to add them to the cubes. I printed then cut or punched them and added them that way as it was far easier than trying to Gelli print the cube faces. This is why I needed to figure out how to print a full A4 size sheet with only the 6 x 6 Gelli plate LOL! 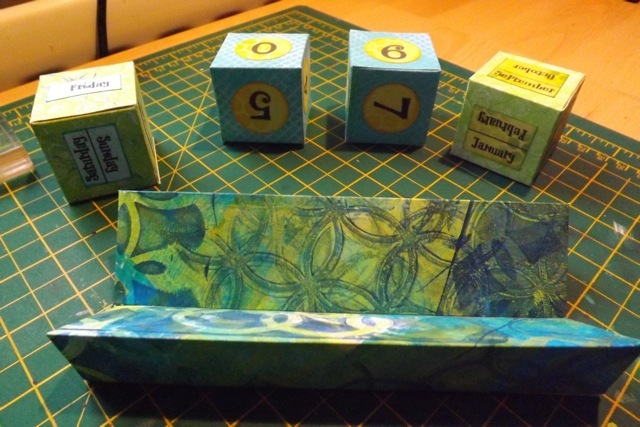 Whether you make one in a Gelli way or make one in a scrappy way (or even if yo print and make one using the download from Canon) it’s a cute project that takes up very little space on your desk. As it’s a perpetual calendar so long as you remember to change the date every morning (a big IF in my case!) then you will have something you can use and use, year after year. I think it will be a good thing for DD to have in her room to help keep her focused on the DATE. The act of changing the cubes every day should be a good process for her to do. 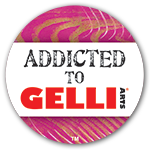 Categories: calendars, Gelli plate monoprints, paper sculptures | Tags: calendars, Gelli plate, paper sculpture | Permalink. fantastic idea! 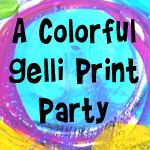 Thanks so much for sharing at the gelli party, which is how I found you! 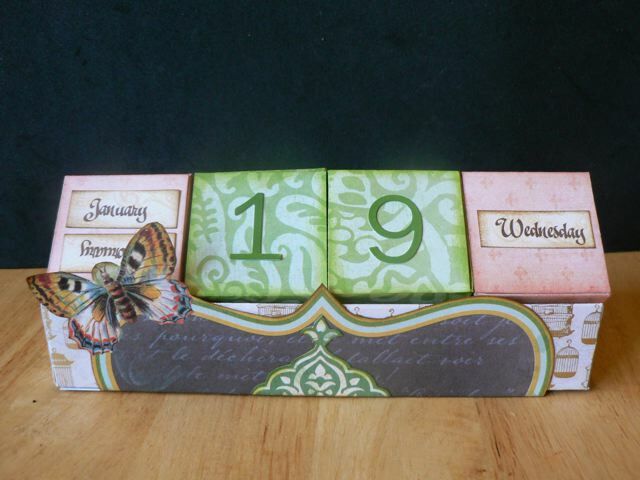 What a fun way to keep a calendar on your desk! This would make a great office or teacher gift too! So glad you shared this with the party!